The English paperback and Ebook of Master of the Jinn is now being sold in Germany on the Amazon.de website. To buy the English Master of the Jinn Paperback in Germany click HERE. To buy the English Master of the Jinn Ebook in Germany, click HERE. And of course, for the German translation, Meister der Jinn, click HERE. 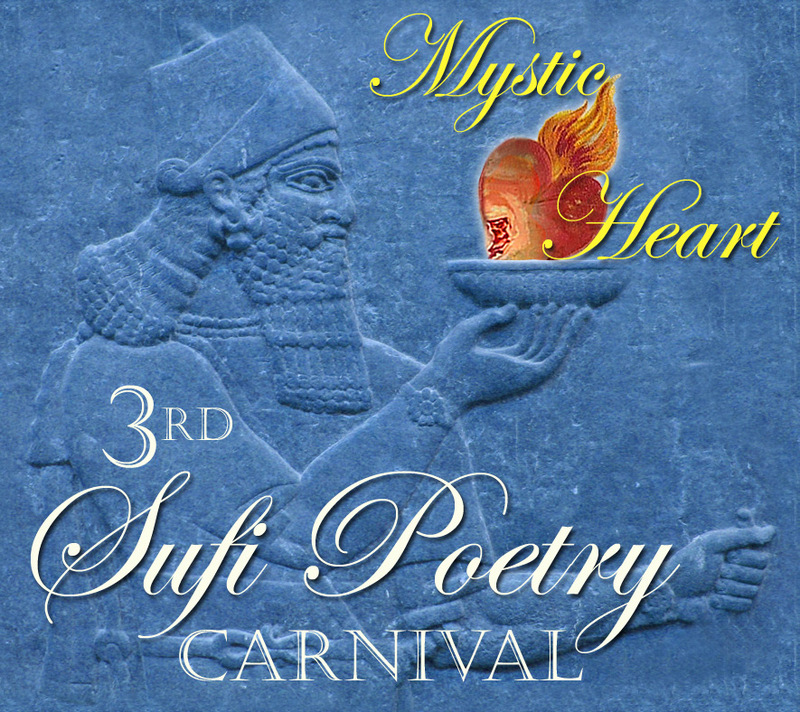 Mystic Heart – The 3rd Sufi Poetry Carnival!!! the keys whereof are the tongues of poets. Welcome to the 3rd Annual Sufi Poetry Carnival, co-hosted by our brother Sadiq of the highly acclaimed Technology of the Heart blog. All May Enter: We are all spiritual beings having a human experience, so may submit their poetry, whether a Sufi or not, as long as the poetry is in English and the Mystic Heart theme is followed. IWA 7th Annual Islamic Poetry Contest! Announcing the Islamic Writers Alliance 7th Annual Islamic Poetry Contest. April 1st – 30th, 2011. Submissions may be sent beginning today, April 1, 2011, and will be accepted until 11:59 on April 30, 2011 EST. • Entries may be of any ‘type’ of poetry, including but not limited to ballad, couplet, iambic pentameter, quatrain, cinquain, sonnet, haiku, epic, free verse, and even light verse, limerick and spoken word. • Maximum of 1 (one) submission per individual. • Entries that have won previously cannot be resubmitted. • Poems will only be accepted as plain text (ASCII) format in the body of email , as an attachment in Microsoft Word, or as a pdf. • Poems must be submitted via email. • Poems must include authors name, category, email address, mailing address, phone number, and title of poem. • Poems that are submitted by youth under the age of 18 must also include a statement from a parent or legal guardian authorizing the IWA’s public use of poem on the website or for a possible anthology in the future. • Teachers may submit ‘class’ poetry only as individual submissions from one school with parental permission. • Poems are the legal property of the author. • IWA retains the right to disqualify and reject submissions deemed inappropriate. You are currently browsing the Darvish blog archives for April, 2011.